The cyber security industry is growing as you’re reading this. More specialists join the ranks, more malware is being launched every day than ever before: 230,000 new malware samples/day according to the latest statistics. Naturally, more resources are being deployed to counter cyber attacks. That’s why I thought it would be helpful to sum up 10 cyber security facts that define the current information security landscape. One of these essential facts is the estimated annual cost for cyber crimecommitted globally which has added up to 100 billion dollars! And don’t think that all that money comes from hackers targeting corporations, banks or wealthy celebrities. Individual users like you and me are also targets. As long as you’re connected to the Internet, you can become a victim of cyber attacks. So that’s why we wanted to walk you through some of the most shocking cyber security facts that you maybe wish you’d known until the present moment. These will give you a much more accurate idea of how dangerous it really is to go online without proper protection. On FBI’s Most Wanted List for cyber criminals you will currently find 19 individuals, each being responsible for consumer losses ranging from $350,000 to more than $100 million. They are from all over the world and huge rewards are offered for their capture. For example, FBI’s most wanted cyber criminals at this moment are the JABBERZEUS subjects, a group of individuals involved in a wide-ranging racketeering enterprise and scheme that installed, without authorization, malicious software known as Zeus on victims’ computers. This type of financial malware was used to capture bank account numbers, passwords, personal identification numbers, and other confidential information necessary to log into online banking accounts. 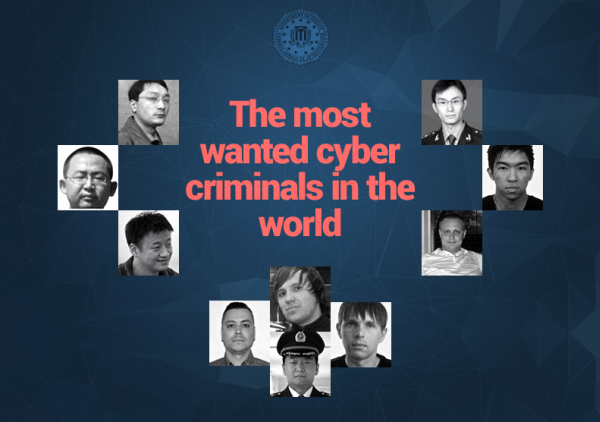 Who are the most wanted cybercriminals in the world? 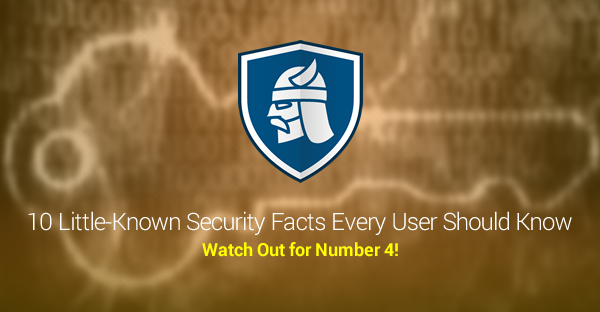 Find out + 9 other cyber security facts. Starting in September of 2011, the FBI began investigating a modified version of the Zeus Trojan, known as GameOver Zeus (GOZ), which we covered in depth. Thousands of corporations were infected with GameOver Zeus and as many as 1.2 million computers were infected prior to the take down of Zeus. It is believed GameOver Zeus is responsible for financial losses of more than $100 million USD. Zero Day attacks can be powerful and very dangerous. If you keep up to date with major news in the cyber security industry, it might help you identify attacks and know what to do about them. Keep your software updated and take all necessary precautions to keep your financial and confidential information safe. Ever wondered how much damage a computer virus can do? Let us give you a compelling example through this next cyber security fact. 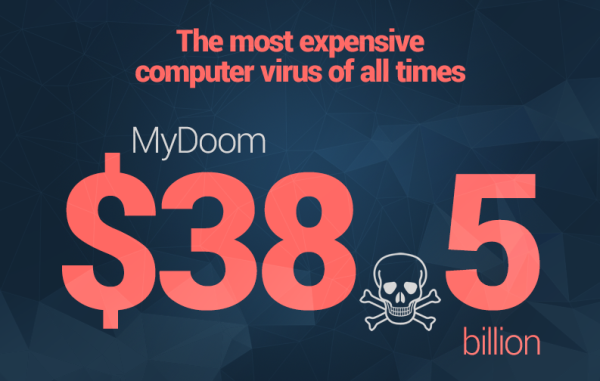 MyDoom is considered to be the most expensive virus in the world and in cyber security history, having caused an estimated financial damage of $38.5 billion! MyDoom was first spotted in January 2004 and it became the fastest-spreading email worm ever, exceeding all previous records. The virus’s origins are believed to be in Russia, but its author was never discovered. The most expensive computer virus of all times cause damage worth $38.5 billion! Mydoom was mainly transmitted by email, disguised as spam email. A user might inadvertently open the attachment in the email and the worm would re-send itself to every address it could find. The original version contained a payload that did two things: it opened a backdoor into the user’s computer, allowing remote control of it, while also conducting a DDoS attack (Direct Denial Of Service) against SCO group’s website. Viruses such as MyDoom can be extremely dangerous, because if a cyber criminal gains control over your computer, there’s no telling if and how you may regain control over your device. Severe malware usually morphs and has a very low detection score, so antivirus solutions can’t detect it. You need a proactive solution that can work as a supplement for your AV, scanning your Internet traffic and warnning you when potential threats appear, while also blocking access to hacker controlled servers and keeping your data from leaking. Currently, according to in depth statistics, there are more than 1.6 billion social network users worldwide with more than 64% of internet users accessing social media services online. Moreover, social networking is one of the most popular ways for online users to spend their time, and a preferred way to stay in contact with friends and families. 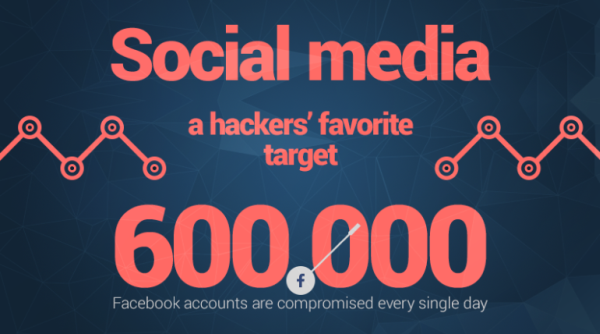 Find out which kind of attacks hackers use most often in social media + 9 other infosec facts! Like-jacking: occurs when criminals post fake Facebook “like” buttons to webpages. Users who click the button don’t “like” the page, but instead download malware. Link-jacking: this is a practice used to redirect one website’s links to another which hackers use to redirect users from trusted websites to malware infected websites that hide drive-by downloads or other types of infections. Phishing: the attempt to acquire sensitive information such as usernames, passwords, and credit card details (and sometimes, indirectly, money) by disguising itself as a trustworthy entity in a Facebook message or Tweet. Social spam: is unwanted spam content appearing on social networks and any website with user-generated content (comments, chat, etc.). It can appear in many forms, including bulk messages, profanity, insults, hate speech, malicious links, fraudulent reviews, fake friends, and personally identifiable information. Why are cyber attacks on social media so frequent? Because social media users usually trust their circles of online friends. The result: more than 600.000 Facebook accounts are compromised every single day! Also, 1 in 10 social media users said they’ve been a victim of a cyber attack and the numbers are on the rise. Now this is a cyber security statistic which we don’t want you to become part of. Don’t click any strange links. Educate yourself about how cyber attacks look and work on social media platforms and learn how to protect your Facebook, LinkedIn, Twitter and Instagram accounts. Install a solution that can protect you against malware and dangerous web locations. Cyber security fact: Oracle Java, Adobe Reader or Adobe Flash is present on 99% of computers. 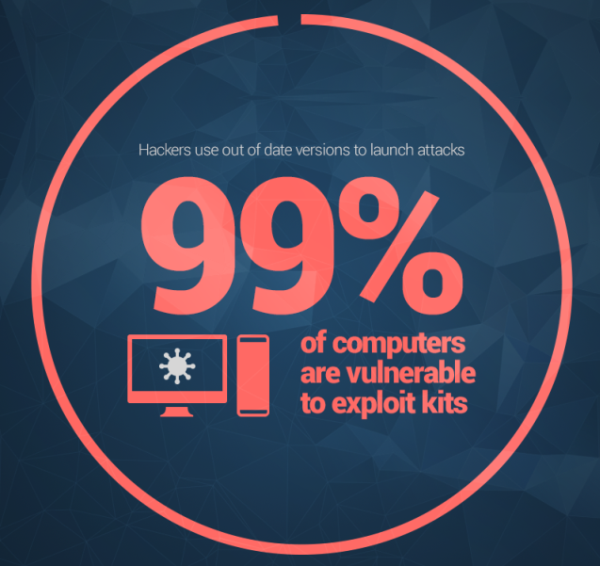 That means that 99% of computer users are vulnerable to exploit kits (software vulnerabilities). Why? Because the vulnerabilities that these types of software often present are extremely critical: all it takes is one click on an infected advertising banner to give a hacker full access to your computer. Adobe Flash has a huge number of vulnerabilities, so cyber criminals target it in the majority of their attacks. By using these security holes in Flash, attackers can infect your computer with ransomware, such as various CryptoLocker variants or Teslacrypt and CTB-Locker. 99% of computers are vulnerable to cyber attacks. The rise of exploit kits-as-a-service and the increasing use of automation has led to more sophisticated and aggressive attacks. Without adequately protecting your browsers and your entire system, you’ll leave yourself vulnerable to a huge range of cyber threats. Keep your software updated at all times (the experts say so, not just us) or install a solution that does that automatically and silently. Install an AV solution and a supplement that can do what AV fails to do: protect your system proactively from cyber threats by scanning incoming and outgoing Internet traffic. Exploited insiders may be “tricked” by external parties into providing data or passwords they shouldn’t. Careless insiders may simply press the wrong key and accidentally delete or modify critical information. said Andrew Kellett, principal analyst at Ovum. If a soon-to-be-ex-colleague decides to do some damage before he/she leaves the company, make sure your work goes unaffected. Be careful how you manage your passwords: use a password management application, use strong passwords and change them regularly. Protect your shared documents and keep updated backups of all the information you’re working on. People are the weakest link when it comes to cyber security, which is why psychological manipulation of cyber attack victims is so common. According to the definition, social engineering, in the context of information security, refers to psychological manipulation of people into performing actions or divulging confidential information. This is a type of confidence trick for the purpose of information gathering, fraud, or system access, and the first type of attack of this kind known in history is the Trojan horse itself (not the computer virus, but the Greek mythical event). 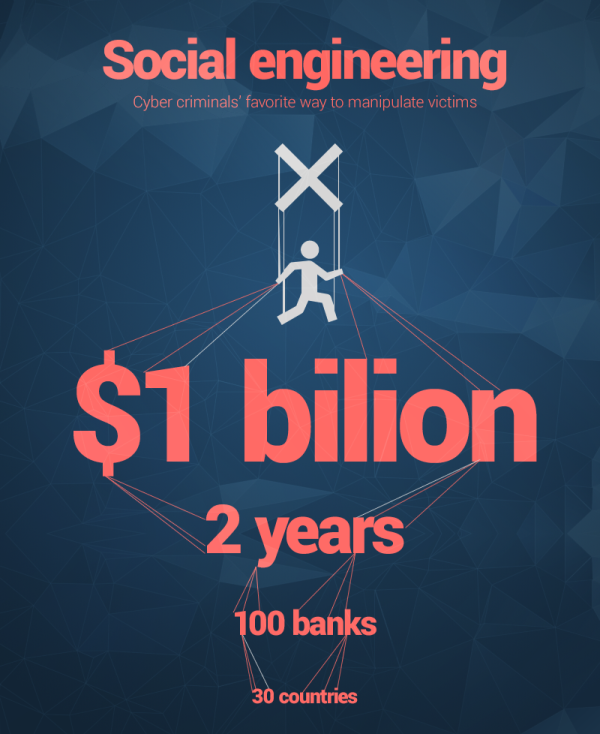 For example, in a recent attack, an international cyber crime ring based out of Eastern Europe managed to steal $1 billion in 2 years from 100 different banksin nearly 30 countries using spear phishing emails targeting bank employees. The spear phishing technique is, by far, the most successful on the internet today, accounting for 91% of attacks! Always check the recipient of an email and the source of a message. Don’t click any strange links and know what a phishing attack looks like. Don’t install software from untrusted sources. Don’t trust people blindly and don’t give away confidential information to strangers. Cyber security fact: governments around the world are creating malware and using it as digital weapons or in espionage programs. In the past 5 years, more than a handful of government malware have been discovered (such as Stuxnet), but their origins have yet to receive full attribution. Besides civilians and private organizations becoming collateral damage, there are also other severe consequences. 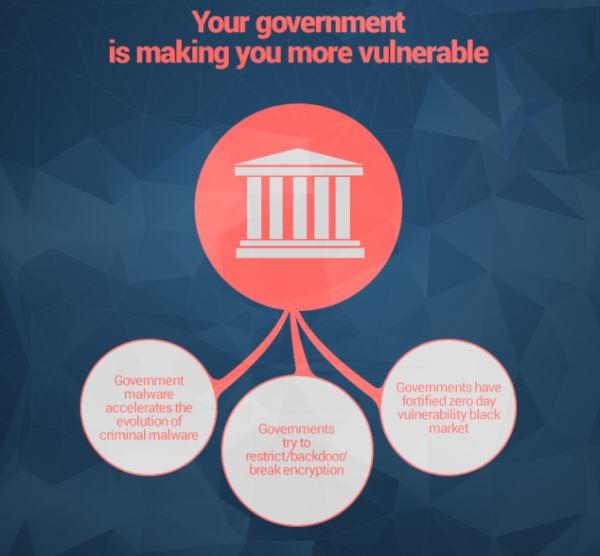 Government malware accelerates the evolution of criminal malware – cyber criminals do a lot of reverse engineering on government malware, and use its tactics and technical approach to create new, more advanced malware of their own. Governments have fortified zero day vulnerability black markets – Zero Day vulnerabilities auctions have become common, but governments are buying the intelligence related to these vulnerabilities and weapon zing them, instead of disclosing them responsibly, as is the norm in the cyber security industry. Governments try to restrict/backdoor/break encryption – in the name of transparency and protection against cyber criminals and terrorists, governments all over the world are trying to limit every individual’s right to encrypt confidential information. This is why “cyber policies” can do more damage than good. Increase your individual protection by installing an AV solution and a complementary solution that can strengthen your defenses. Educate yourself about cyber security and keep an eye on news in the industry. Use a VPN solution and encryption technology to protect your confidential information. Ever wondered how cyber attacks look at a global scale? Now you have the chance to do it with this real-time map put together by Norse. 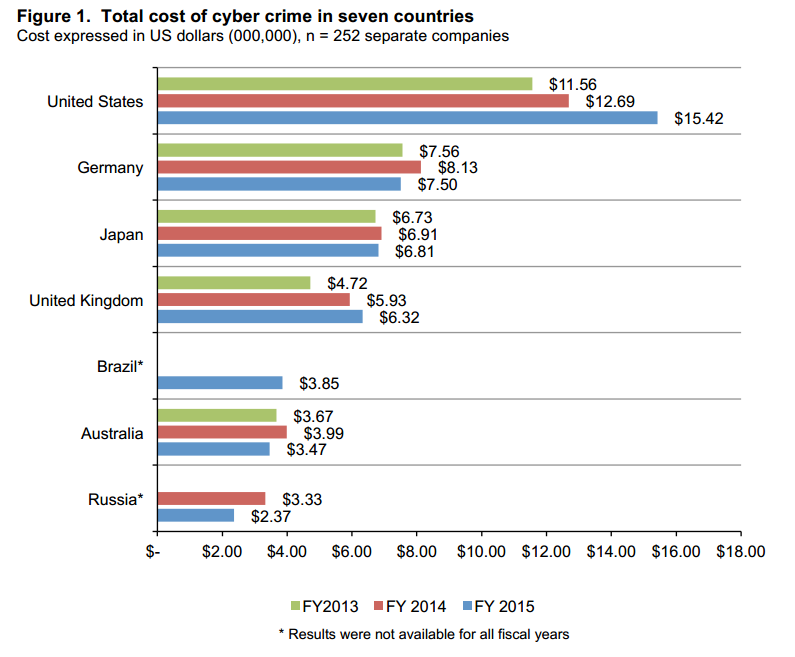 You might notice that the U.S. is one of the favorite targets for cyber criminals. For example, Chinese attackers alone caused more than $100 million worth of damage to U.S. Department of Defense networks according to leaked documents from Edward Snowden. Back in 2012, the same department used to suffer more than 10 million cyber attacks per day, and, given the evolution of cyber criminals, we can assume that these figures have climbed dramatically since then. For example, the U.S. Navy, which receives 110.000 cyber attacks every hour. 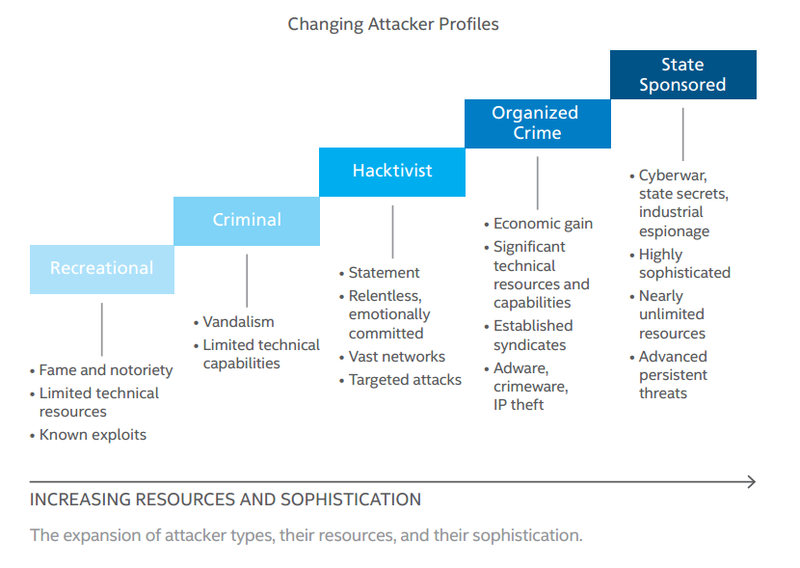 Hacktivism accounts for half of the cyber attacks launched in the world. The term represents a subversive use of computers and computer networks to promote a political agenda. With roots in hacker culture and hacker ethics, its ends are often related to the free speech, human rights, or freedom of information. Although it may seems like the terms has a positive spin, it really depends on who is using the term. Hacktivism can be a politically motivated technology hack, a constructive form of anarchic civil disobedience, or an undefined anti-systemic gesture. It can signal anticapitalist or political protest; it can denote anti-spam activists, security experts, or open source advocate. Hacktivists use code, website mirroring, geo-bombing and anonymous blogging to achieve their objectives, the oldest events of this type dating back to 1989. Anonymous may be the most widely known hacktivist group in the world, but there are many others that carry on cyber attacks of this kind. Be careful about the websites you visit and always make sure they use the SSL security protocol. Keep your passwords long, complicated, updated often and managed through dedicated app (NEVER store them in your browser). Keep your system and software updated and also keep an eye out for trouble. Cyber crime is not only costly, but poses other problems as well for organizations worldwide. It’s becoming increasingly difficult to detect cyber attacks and resolve the security issues created by them: the average time to detect a malicious or criminal attack by a global study sample of organizations was 170 days(according to a research conducted by the Ponemon Institute). Moreover, no industry is safe: all business sectors are affected to a higher or lower degree. The same research conducted by the Ponemon Institute found the average annualized cost of cyber crime incurred by a benchmark sample of U.S. organizations was $12.7 million, representing a 96% increase since the study was initiated 5 years ago. As a result, organizations experienced a 176% increase in the number of cyber attacks, with an average of 138 successful attacks per week, compared to 50 attacks per week when the study was initially conducted in 2010. And what’s more worrisome is that 68% of all these funds that were lost as a result of a cyber attack were never recovered and will probably never be. Keep your financial information protected by using a password manager application to enter your passwords in your online banking website. Be aware of phishing attempts and never give your confidential information over email or other means of electronic communication. Get additional protection through software that can detect cyber threats and block them before they infect your system and leak financial data. However big or small, cyber security threats should be treated with caution. You may not be a millionaire (yet) or a C-level manager, but that doesn’t mean that you’re protected against a potential hacker attack. Don’t spare any precautions you can take and try to develop your own protection system with the tools and information you find online, such as this list of cyber security facts. We recently published a guide to help you choose the best antivirus solution for you and there are plenty more security guides you can use to secure your social media accounts, your email, your operating system and more. Use them and navigate the web with a lot more peace of mind.